3-22-2014 - dense, black, uniform. 3-22-2014 compare to 5-2010 below. Irene has consistently exceeded our expectations not with regard to our evaluation, but to her ability. She showed us in the show ring, and now she showed us in her progeny. Wasake who judges stated, "he is the finest in the class with good density and good uniformity." Ask for Price Next generation of black! 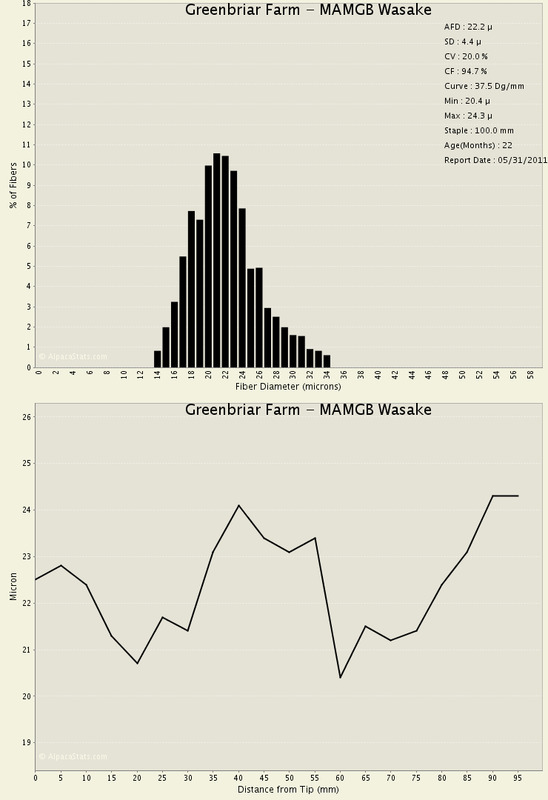 Wasake is an impact male. He sets conformation, staple length, brightness, and a soft hand with an average AFD of 19.9 and SD of 4.5 overall lingering into later years (see Andrea, Kichica, Waktaya, & Thahca). This is proof through progeny on breeding impact. Situpsan's 6 month daughter sheared annualized to 8.0 pounds. 2014 AFD=16.69 SD 3.79. Waktaya 22 month daughter sheared 6.2 pounds. 2015 AFD=23.44 SD=4.81. Thahca 32 month daughter sheared 6.5 pounds. 2016 AFD=20.6 SD=4.90. Wasicu 8 month son sheared annualized 6.4 pounds. 2014 AFD=19.1 SD=4.8. Woyawaste 8.5 month son sheared annualized 4.4 pounds. 2014 AFD=20.4 SD=5.0. Woimnaka 8.8 month son sheared annualized 5.0 pounds. 2014 AFD=23.6 SD=5.1. Kapsica 9 month daughter sheared annualized 5.7 pounds 2014 AFD=21.7 SD=5.2. Kapsica 45 months daughter sheared 5.3 pounds 2018 AFD=23.1 sd=4.8. Akab Sapa 8 month son annualized 5.8 pounds 2015 AFD=17.19 SD=4.36. Skeheya 8 month son annualized 5.8 pounds 2015 AFD=20.41 SD=4.92. Aloza 8 month son annualized 3.7 pounds 2016 AFD=17.9 SD=4.10. Aloza 31 month son sheared 5 pounds 2018 AFD=18.1 SD=4.2. Gimna 10 month son annualized 4.83 pounds 2016 AFD=18.4 SD=4.30. 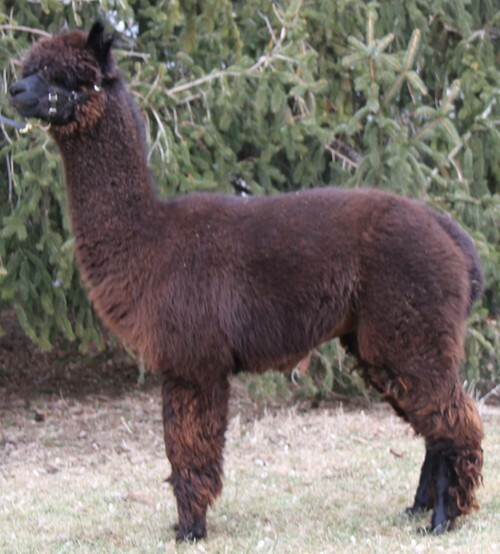 Gimna 34 month son sheared 5.2 pounds 2018 AFD=19.2 SD=4.1. Siyata Ska 10 month son annualized 5.5 pounds 2016 AFD=20.1 SD=4.80. Siyata Ska 33 month son sheared 7.1 pounds 2018 AFD=22.8 SD=4.4. Tunweya 11 month son annualized 4.5 pounds 2016 AFD=18.6 SD=4.60. Tunweya 35 month son sheared 5.6 pounds 2018 AFD=18.9 SD=4.3. 2010 Minnesota Alpaca Expo - 12 in class, Amanda VandenBosch stated, "Well proportioned and conformationally sound having superior fineness to the rest in the class along with good density. Amanda stated you have a fine one there." 2010 Great Midwest - 14 in class - "Fineness and density are superior in the class while lacking age as the only discriminating triat between first and second." 2010 Nationals Ft. Wayne - 8 in class - Sara Jane MacLennan comments, "Good brightness, character, and very fine." He lost to the Judges choice a beautiful black fleece from a five year old. 2011 Spring Bling - 3 in class, Amanda VandenBosch stated, "He is the best in the class in fineness, density, and handle but I felt he was low in the front shoulders and light in the back frame for the rigors of breeding." 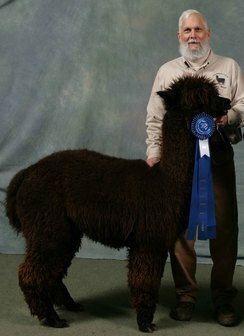 2011 Minnesota Alpaca Expo - 8 in class, Peter Kennedy stated, "Carries the fineness in the class but is slightly less dense and uniform than the first place alpaca." Great Midwest - 11 in class, Polly Michaelis stated, "Bright with exceptional staple length, well organized but not quite as dense or organized as the first place but nice frame." 2011 National Denver - 7 in class, Scored 65.5. Judges comments, "Bright with a soft touch, needing more weight and crimp." 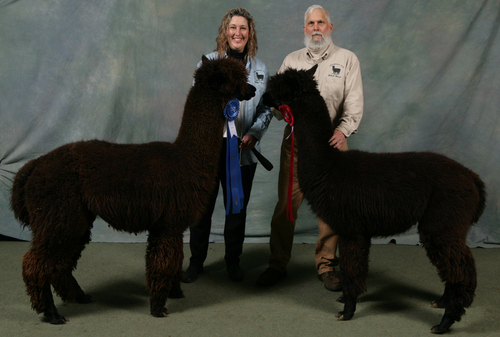 2012 Nationals - Fleece True Black Male - Judge Cathy Merkley (The first and second place entries were the Color Champion and Reserve Champion). 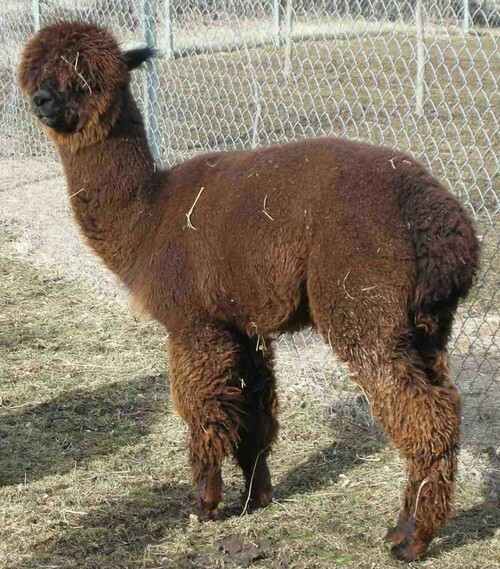 2013 Michigan Alpaca Festival (Fall) - Get of Sire - has the overall uniformity of the class but lacked the density seen in the first place group. Impressed with the fineness, consistency, and soft hand. 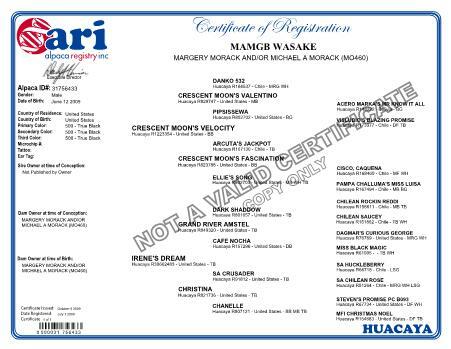 Sire: MAMGB Wasake [Wha-Sah'-Key] "Strength"
Dam: MAMGB Enana Sapa "All Around Black"
MAMGB Andrea "cause my mother-in-law asked"
She's all over the pasture all at once! 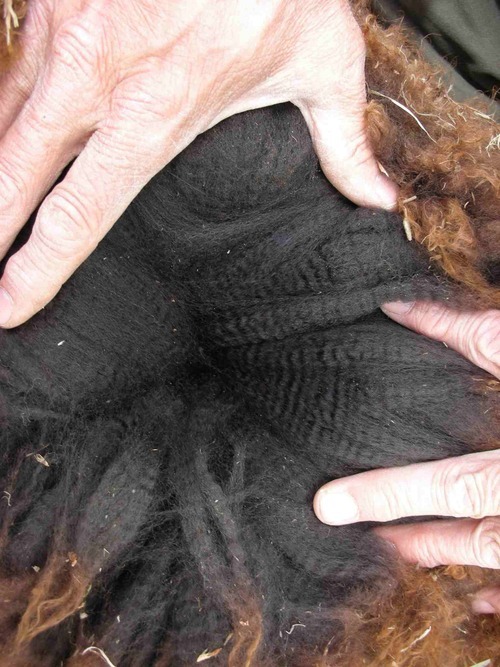 Best Fleece on our farm! Service Sire: MAMGB Ahanhepi [Ah'-Han] "Overcome by Darkness"
Forhead has Australia painted there. 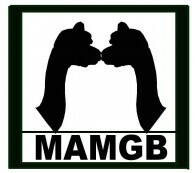 MAMGB Siyata Ska "White Feet"
Dam: Ayashe (Eye-Yah'-She) "Little One"
MAMGB Tunweya (Ton-way-yah) = "Scout"